1. Ice skate or ride bumper cars on ice at the Alex and Ani City Center. Tickets for ice skating (you can also rent skates) include up to four hours of skating. Try something new with bumper cars on ice! For a few hours each day part of the rink is sectioned off for the bumper cars, and, on occasion, bumper cars take over the whole rink. Twenty minute timed tickets for bumper cars sell out fast so be sure to book online early here. Why You Should Return in the Summer: The ice disappears, the grass turf “grows”, and the field is filled with bubble soccer, foot darts, and more bumper cars. There are lots of weekend festivals sponsored by local civic and cultural organizations. Traveling with Kids: There are restrooms located next to the ticket center. Skate rentals are on the other end of the ice rink. Plastic penguins are available to rent for younger, beginner skaters who need help with their balance. 2. Explore the Roger Williams Park, which encompasses over 400 acres of land and includes a zoo, botanical center, gardens, a museum of natural history and planetarium, carousel, boat house with swan boats, playgrounds, athletic fields, and about a dozen statues positioned throughout the park. During the winter, take a walk on a designated path and make time to explore the Roger Williams Zoo, home to over 150 animals. Warm up inside the greenhouse (home to three tortoises), the Faces of the Rainforest (home to otters, birds, fish, toucans and sloths, to name a few), the World of Adaptations (home to tree kangaroos, Komodo dragons, hornbills), and the indoor giraffe and elephant barn. Why You Should Return in the Summer: Kids will LOVE the Our Big Backyard exhibit with water features, a massive treehouse, scavenger hunts, and opportunities to feed a variety of animals. There are also camel rides, train rides and bounce houses open during warmer weather months. Traveling with Kids: There are plenty of restrooms located throughout the zoo. Bring a stroller (or rent one for a nominal fee) for tired feet. There are concession stands throughout the zoo, with more options available during warmer weather months. 3. View thousands of pieces of art at the RISD Art Museum. Located on the campus of the Rhode Island School of Design, the museum is the perfect spot to check out a wide variety of art including Egyptian, Ancient Greek and Roman art; 18th and 19th century American art; prints, drawings, and photography; and an entire floor devoted to student work. The museum is free on Sundays and the third Thursday of the month from 5pm-9pm. The entire museum is handicap accessible (there are three color coded sets of elevators to access various floors). There’s also the cafe Pearl on the 4th floor, which serves drinks and snacks and a gift shop on the 1st floor. Why You Should Return in the Summer: Explore the outdoor Radeke Garden, accessible on the 3rd and 5th floors. Traveling with Kids: The museum is free for children ages 18 and under and the museum offers a stroller service. Best bet is to visit on the weekend: Select Saturdays feature Tours for Tots and See and Sketch, which include hands on activities geared towards younger children and Open Studio on Sunday afternoons, a drop in art experience for all children. For a full schedule check here. 4. Investigate dozens of hands on exhibits at the Providence Children’s Museum. There’s water play, magnetic mazes, Lego tables, a ThinkSpace filled with puzzles, a treehouse, and even a stage for performances with marionettes! The museum offers a wide variety of programs so be sure to check here before you visit. The museum participates in the Association of Children’s Museum reciprocity program, so if you belong to your local children’s museum you may receive discounted admissions. Why You Should Return in the Summer: Check out the Children’s Garden and climb the outdoor The Climber. Traveling with Kids: No need for a stroller, no one will want to sit in one with so much to do! There is a coat room on the main floor and ramps to the second floor of exhibits. Restrooms are located on both floors. There is a lunch room on the main floor, but no food options on site. The museum offers a list of nearby restaurants and even has a binder of menus! There is a parking lot adjacent to the museum and additional, metered street parking. 5. Take a tour of the Rhode Island State House. Overlooking downtown Providence, the American Renaissance architecture style building is open to the public for guided and independent tours during the week. You can register for free tours here. Guided tours last approximately one hour and give you the opportunity to visit all three floors of the building. You’ll see the Senate Chamber, State Reception Room, and House Chamber. Leave a few minutes to explore the Charter Museum on the first floor; make sure to stand in the middle of the rotunda next to the state seal and look up- the dome of the capitol is the 4th biggest dome in the world! If you want to see government officials in session, make sure to visit between January- June. Traveling with Kids: Check in on the “backside” of the building on Smith Street. You’ll need to go through metal detectors and security. The tour starts on the second floor Library Room. There is handicap accessibility for all spots on the tour and restrooms are located on every floor. There is a cafeteria on the ground floor open during the week. I would recommend guided tours for older children. 6. 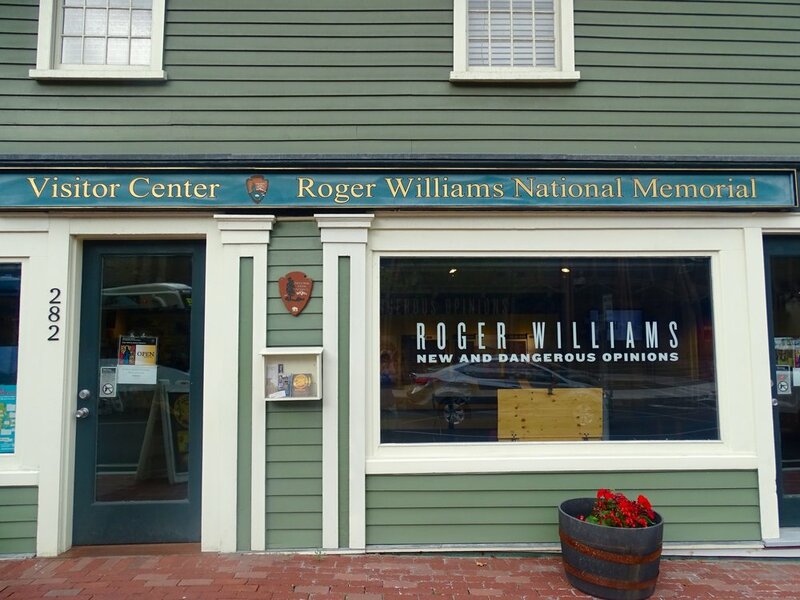 Learn about the history of Rhode Island founder Roger Williams at the the Roger Williams National Memorial. Start at the Antram Gray House with a five minute introductory video and exhibit that explains Roger Williams’ fight for religious freedom. Don’t forget to get your National Parks Passport stamped. The site is free to explore. Why You Should Return in the Summer: Explore the two outdoor gardens, Bernon Grove (a memorial to King’s Chapel founder Gabriel Bernon), and Hahn Memorial, in honor of the first Jewish person to be elected to public office. Interpretive programs are also offered during the summer at the main museum inside the Antram Gray House. 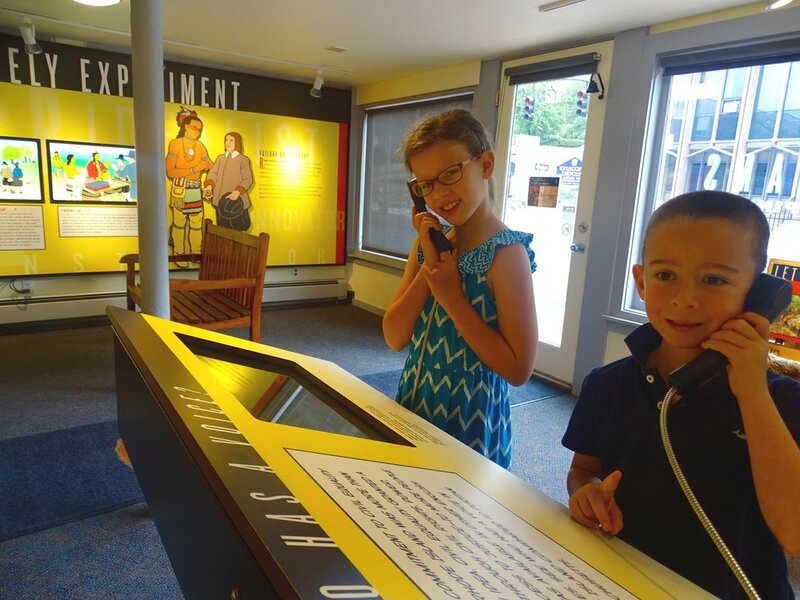 Traveling with Kids: This is a quick stop- plan to spend a half hour exploring the exhibit. There is no need for a stroller. There is a parking lots and public restrooms on site. Parking: There is plenty of metered street parking around town. There are daily rates in garages near Providence Place. Check out lists and maps here. The city is very walkable for most locations (except for the Roger Williams Park, but still only 10 minutes from downtown). Eating Locally: There are so many options in downtown Providence. Providence Place has just about every chain you can think of (check out the list here). I would definitely make time to check out Federal Hill, the Little Italy of Providence. We went to Cassarino’s Ristorante on a recommendation and loved the food. There are a few breweries in town and we enjoyed Union Station Brewery, part of the John Harvard’s brand (we used to frequent the Boston outposts when we lived there). Staying Locally: We LOVED the Renaissance Hotel Providence Downtown. We always stay Marriott (read why here) and there are a few options in the greater Providence area. I picked the Renaissance mainly for its location (we could walk to just about everything downtown and our room had the most perfect view of the statehouse) and were very pleased with the cleanliness of the room and public spaces, as well as the friendliness and promptness of the staff. Renaissance hotels are a boutique chain of the Marriott brand and I think we’ll be staying at more of these hotels in the near future. If you’re planning visits to other New England cities, check out my guides to Mystic, Connecticut; Salem, Massachusetts; Newport, Rhode Island; and New Bedford, Massachusetts. And if you want to follow along on our adventures, please like us on Facebook and follow us on Twitter and Instagram. Disclaimer: I was given a media pass to visit the Roger Williams Zoo and RISD Art Museum by Providence Warwick Convention & Visitors Bureau. All opinions are my own.